The Nigerian Navy has announced the appointment of some of its senior officers to the rank of Flag Officer Commanding (FOCs). The appointment to the rank of FOCs affected three Rear Admirals, Akinjide Akinrinade for the Logistics Command, Oghara, Delta State, Matthew Emuekpere for the Eastern Naval Command, Calabar, Cross River state and Saleh Usman who is taking over at the Central Naval Command, Yenagoa, Bayelsa State. 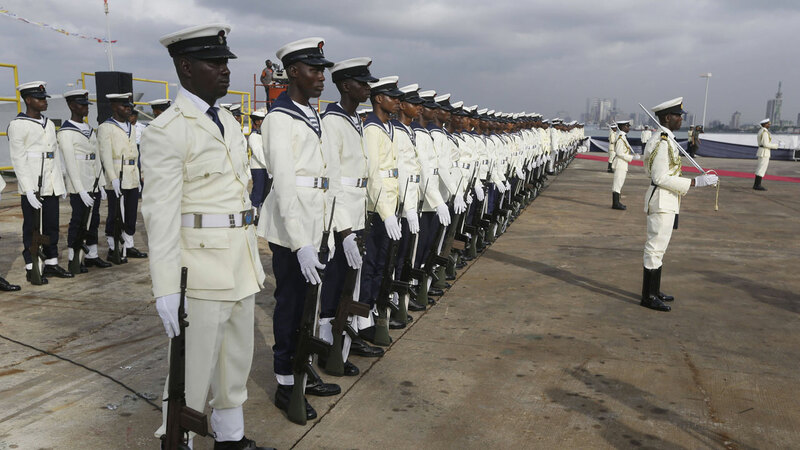 A statement signed by Acting Director of Information, Nigerian Navy, Navy Captain Suleman Dahun, yesterday, said the appointment also affected other 27 Rear Admirals and redeployment of 95 Commodores to various commands, units and establishments. The statement said, “These are Rear Admiral Begroy Ibe-Enwo who is reappointed at the Naval Headquarters, Abuja as the Chief of Naval Transformation; Rear Admiral Victor Adedipe appointed Director of Plans at the Defence Headquarters, Abuja while Rear Admiral Peter Onaji is taking over as the Chief of Naval Safety and Standard at the Naval Headquarters, Abuja and Rear Admiral Dogara Albehu is now the Director of Training at the Defence Headquarters, Abuja. “Rear Admiral Micheal Ebe is assigned the Director of Plans, Naval Headquarters, Abuja, Rear Admiral Aliyu Lawal is taking over as Director Equipment Standardization and Harmonization, Defence Headquarters, Abuja, Rear Admiral Uchenna Onyia is now the Director of Administration at the Naval Headquarters, Abuja and Rear Admiral David Adeniran is reappointed the Commander Naval Drafting, Apapa, Lagos. 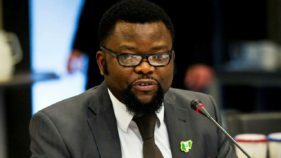 “Others affected are Rear Admiral Tanko Dakwat who is now the Admiral Superintendent Naval Ordinance Depot, Lagos, Rear Admiral Ahamefule Eluwa is reappointed Moderator at the National Institute for Policy and Strategic Studies, Kuru and Rear Admiral Dolapo Kolawole is taking over as the Director of Policy at the Naval Headquarters, Abuja. “Rear Admiral Abubakar Al-Hassan is appointed the Director of Transformation at the Defence Headquarters, Abuja, Rear Admiral Obed Ngalabak is the Admiral Superintendent Naval Doctrine and Assessment Centre, Lagos and Rear Admiral Abraham Adaji is reappointed Director of Operations at the Naval Headquarters, Abuja. “Rear Admiral Jatau Luka is the new Chief Staff Officer at the Eastern Naval Command Headquarters while Rear Admiral Ibikunle Olaiya is reappointed the Director of Naval Intelligence at the Naval Headquarters, Abuja. 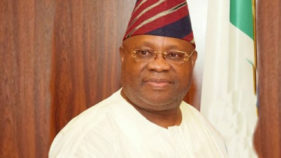 Dahun said the appointment also include, “Rear Admiral Kamarudeen Lawal who is appointed the Director of Transformation at the Naval Headquarters, Abuja, Rear Admiral Abdullahi Adamu as the Director of Combat Physical Training, Naval Headquarters, Abuja while Rear Admiral Oladele Daji who is redeployed to the Western Naval Command Headquarters, Lagos as the Chief Staff Officer. “Rear Admiral Maurice Eno is taking over as Director of Research and Development at the Naval Headquarters, Abuja, Rear Admiral Saidu Garba is now the Director of Project Implementation Monitoring and Evaluation Directorate, Naval Headquarters, Abuja and Rear Admiral Barabutemegha Gbassa is now the Fleet Commander, Headquarters Eastern Fleet, Calabar. Rear Admiral Sanusi Ibrahim is appointed the Director of Manning at the Naval Headquarters, Abuja while Rear Admiral Muhammad Nagenu is taking over as the Fleet Commander, Headquarters Central Fleet, Yenagoa,” the statement said.